Sean Combs — otherwise known as Diddy, Puffy, Puff, P. Diddy, or Puff Daddy depending on the day of the week — has bid about $200 million for Fuse cable TV network. 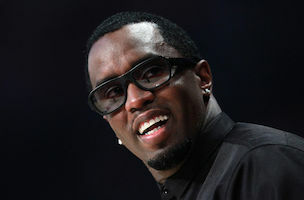 Bloomberg News reports that Diddy plans to fold Fuse into Revolt, the network he founded last year. With the buy, Revolt would increase its distribution by over 70 million homes. Currently, Revolt reaches about 22 million homes and is carried by Comcast and Time Warner Cable. Fuse, on the other hand, reaches about 74 million homes through DirecTV and Dish Network. If Diddy’s offer is accepted — he is one of several bidders — early word is that each show on the new combined network will be hosted by Dylan.